Before starting this epic trip through Central Asia, we knew that there were going to be some downsides to travelling in such an untouristed part of the world. Sure, at times it’s been hard working out visas, breaching the language barrier and dealing with border guards, but the biggest problem we’ve had is keeping the site going. This is something travel bloggers never want to have to say, but in this region it’s a common occurence. We’ve gone 2 weeks without any internet connection at all and it’s definitely had it’s effect on our blog. Emails pile up with questions from readers, and advertisers grow impatient with urgent articles being postponed. We rarely have wi-fi, but when we do it is the most frustrating connection you can imagine. I’ve come close to hurling my MacBook from hotel windows plenty of times. A slow connection is one thing, but the Web Gods of Central Asia insist on taunting us with intermittent connections and a plethora of connectivity errors. Have you ever tried uploading a YouTube video or two dozen photos when the internet cuts out every 2 minutes? It’s enough to drive a blogger bonkers. A combination of poor internet connections and excruciatingly long travel days (I’m writing this from a 17 hour bus ride in Iran) has definitely put a dent in our content creation and site management. 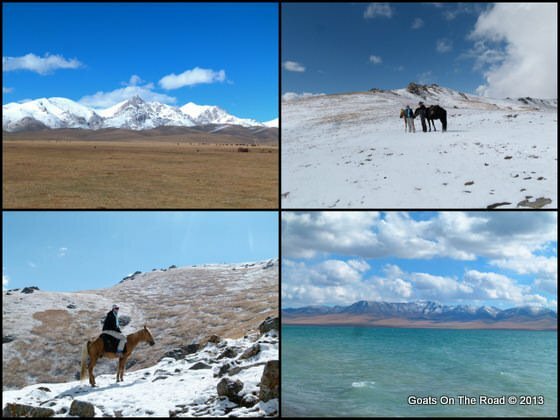 Our goal is to get caught up with the informative posts we want to publish when we get home, so there will be some more help on GOTR for those who dream of visiting Central Asia, but the Goat Guides, Visa Help and Top 10’s will have to wait for now. 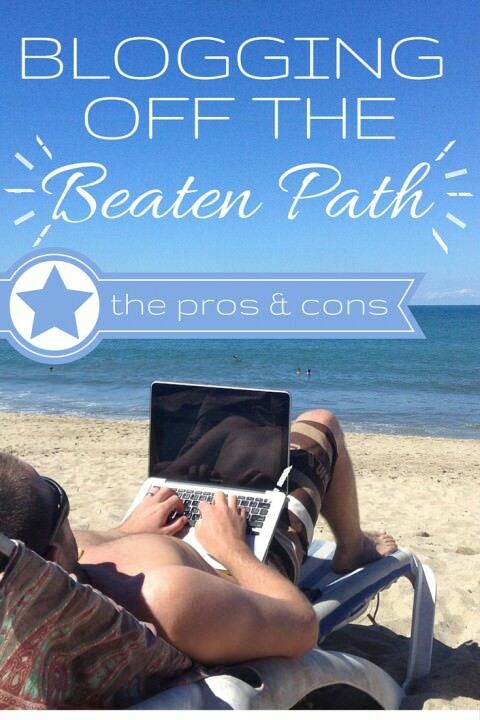 So why did we decide to blog Off The Beaten Path? Well, our blog is our story, and while it would certainly be easier to write articles from a cafe in Italy, right now we prefer to be a bit more exotic. We love Europe, and we’ll definitely be spending some time there in the coming years, but at this point in our lives, we felt like Central Asia was the place for us and to be honest… we were 100% correct. This region is incredible and we’re extremely happy we came here when we did… even if there’s no espresso. Memories of enjoying REAL coffee taunt us daily. We will always choose to go to places because we want to, and we’re trying very hard to ensure that this blog doesn’t get in the way of that. That’s not to say that we wouldn’t hop on the first plane to The Maldives if we had the chance, or that we don’t enjoy touristy places like Thailand and Europe, it’s just that after teaching in China, this is how we wanted to travel. The great thing about writing about places where few people go, is that it intrigues potential travellers and brings new light to underrated tourist destinations around our planet. Before this blog and before our first big trip in 2008, I remember researching Southeast Asia for months before our departure. The search terms I plugged into Google were always “off the beaten path” , “hidden gems”, “no tourists” etc. We’ve carried this love for the unknown into Goats On The Road and hopefully people get the same rush as we do from reading about little-visited and undiscovered places. We may not always be in exotic countries, but we always find our own path and even if it’s “beaten” we still enjoy it. No matter how hard blogging becomes in these places, we’ll always make an effort to go to them, because it’s what we enjoy most. We blog about our lifestyle which changes over time. Right now we enjoy off the beaten path places. Next we’re looking into house sitting and different ways to live a lifetime of financially sustainable travel. One day we may blog about retirement homes in Europe… who knows? For now, we’re just enjoying the exotic places we’re visiting and bringing a little information back from our adventures. Places like Song-Kol in Kyrgyzstan, The Pamir Highway in Tajikistan, and Samarkand in Uzbekistan, should be major tourist destinations, but somehow manage to remain hidden from the tourist radar. We hope our blogs help to inspire people to try something new and be rewarded by the best travel experiences imaginable. Do you blog or keep a travel journal? Is it ever hard to keep up? Tell us below. That’s exactly it – on one hand, we love writing about what we’re doing and are always thinking about the next post…BUT, if we’re not out there actually living this travel life, then what is there to write about?! haha. I think it’s fantastic you travel in and write about off the beaten path destinations! That’s why I read and like your blog! Bad internet connection is definitely frustrating, but if that’s the price for awesome trips, unknown destinations and you having a good time–> 100% worth it! Fans and advertisers will just have to be a bit more patient! 😀 Sending you lots of virtual cups of real coffee!! …oh, and thanks for the virtual cups of real coffee, they were delicious. This is what keeps me coming back; you’re the only blog I’m following (and I don’t even want to count how many I’m following) that’s travelling in Central Asia right now, and only one of a handful of those I follow that ever has. This is why people read travel blogs, right? To imagine what it would be like to be travelling in places other than where they are right now. Good on you for not compromising your travel desires for the blog…and may you find decent wifi soon! We’re so happy that you enjoy reading about our story, it’s because of you and our other readers that we enjoy writing. We LOVE getting comments on the blog and replying to emails, it really encourages us to keep up with the website. Thanks again for the comment…we found decent wi-fi! Love your stories. We’ve done a travel blog over the last few years and sometimes the fun of writing about our experiences isn’t that fun, but hard work. My wife normally writes but when her motivation is low I sometimes write however our styles are different. We’re setting off soon for a couple of years which will be the real test of our blogging. Good luck on your adventures. Good luck with your travels and blogging over the next couple of years! The blog posts that will (eventually) come from this big trip will definitely be worth the wait, don’t worry. And what you’ve been able to share has been awesome. Enjoy it! Having no internet from one day to the next during our travels can both be a help and a hinderouns as you’ve mentioned. There are times when it’s great to not have to think about anything and just enjoy travel for what it is, and then there are times when you’re so desperate for just one bar of WiFi signal that you could just scream. I wouldn’t change it though. Those times when we’ve not had the internet have come up as some of our best times during the past year – sure there are some rubbish times too (like some of our time in Laos), but for the most part they’ve all been great Off The Path adventures that we love. That’s an excellent point. 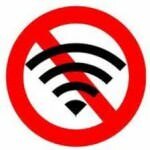 When we were away from the internet during horse treks, camping trips or for the 2 weeks during our travels through the Pamir Highway, it was nice to not think about the internet!! The “no internet or hit miss internet” service is definitely something that plagues us on our travels. It’s sure funny how we take our connections and small comforts like an espresso for granted until we don’t have them! I’m looking forward to reading about your travels…take your time your followers will be here waiting! Thanks Marie. Why did you have to say “espresso”? Now I really want one…haha. I sometimes miss keeping a journal – a real one, hand written! I’m sure you’ll come up with lots of material from past trips to write about as well as your vacations! I’m one of those annoyingly organised bloggers who does everything wayyyyyyyy in advance, so posts are always scheduled to go out if I have a trip to go on where I know there’ll be crappy wifi, and I tend to write on a 1 to 2 month delay anyway. But as you write, there’s all the other stuff: advertisers, emails from readers, comments, tweeting. Stuff that can’t be done in advance. I remember being in Choco, a very underdeveloped area of western Colombia. No internet at the hostel. Only one place in the nearest town had internet, and then again that was only accessible if the owner was around to open up. I used it to reassure friends and family that I was still alive, but that was about it. 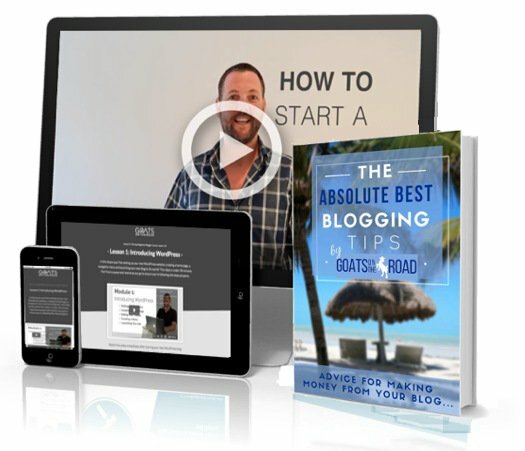 So to answer your question, I don’t find it hard to keep up with blogging, but I do find it hard to keep up with everything else that goes with being a blogger. Glad we’re not the only ones who find it hard to keep up with advertising, emails and social media when we’re on the road. I’m impressed/amazed that you have your posts scheduled way in advance! We try to, but are usually only about 2 weeks scheduled ahead. Well done. It’s always more fun reading about spots “off the beaten path”. Usually they are someplace that can’t be reach by a single flight, making them more mysterious. I’ve been keeping a travel blog since 2011 and I can totally agree with how annoying it is at times to get on the web and get any work done! This is probably the most stressful thing about the job. lol I just flew back from Asia and had been over there a few months. The connection is horrible just about everywhere you go and you’re always getting kicked off. 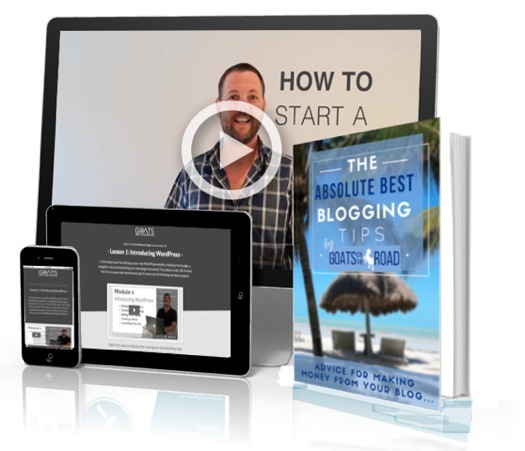 Usually when it comes to keeping up with the blog, I have to take a few months off of the road to get work done and catch up/build upon the business aspect of running a blog. My golden rule: 6 months on, 6 months off and during those 6 months off I’m usually working at a resort so that it ensures I’m still “technically” on vacation somewhere during my off time! 🙂 Hope that helps! You’ve got a great system going there – 6 months on, 6 months off is awesome. That would really give you some time to get all caught up. Yes, there definitely is a “freeing” aspect of it. Freeing, but also frustrating at the same time. If we know we’re going away, like trekking for a couple of weeks or something, then it’s fine to not have internet…in fact, it’s great. It’s when we get back to civilization and the internet is constantly cutting out, or isn’t available at all that we get really annoyed! It’s okay, you can come to Qinghuayuan to use the internet. We know the feeling! Isn’t it hard to keep up a website when you’re travelling? On one hand, you need to travel in order to have stories and info to write about…on the other hand, you need to be able to write about this stuff, which cuts into travel time!! haha.